I design my first Pi MIDI interface way back in 2012 while I was waiting for my first Pi board to arrive. 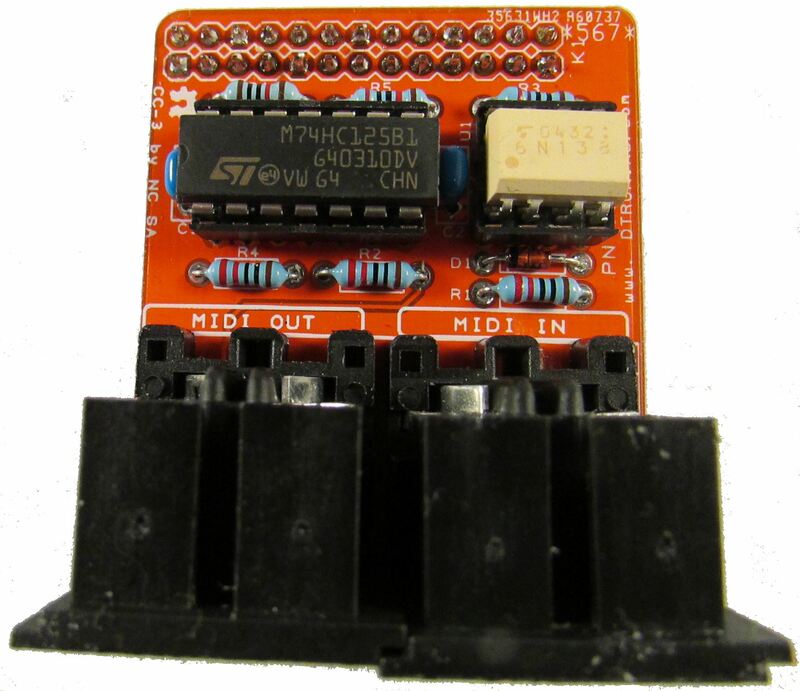 The circuit is now completely 5V as per the original MIDI specification but the MIDI IN is 3.3V compatible with the Pi via a voltage divider circuit. OK that’s the hardware what about the software? 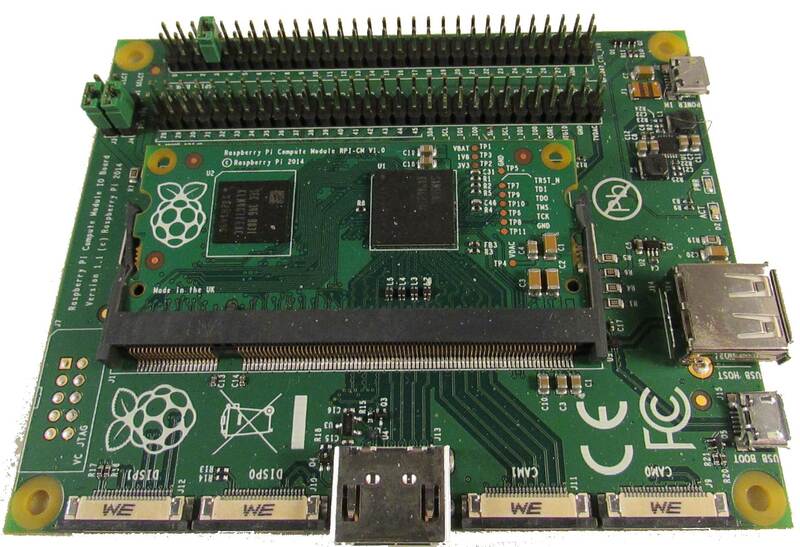 Getting a MIDI 31250 Baud Rate on a Pi is not easy as it should be as 31250 is not a standard Pi baud-rate. But you can trick your Pi into it if you overclock (or rather underclock) the UART clock. Once saved reboot your Pi. Next we need to stop the serial UART being used by Raspbian for the shell console. Check my previous post “MiniPIiio RS232 set-up” on how to do this. 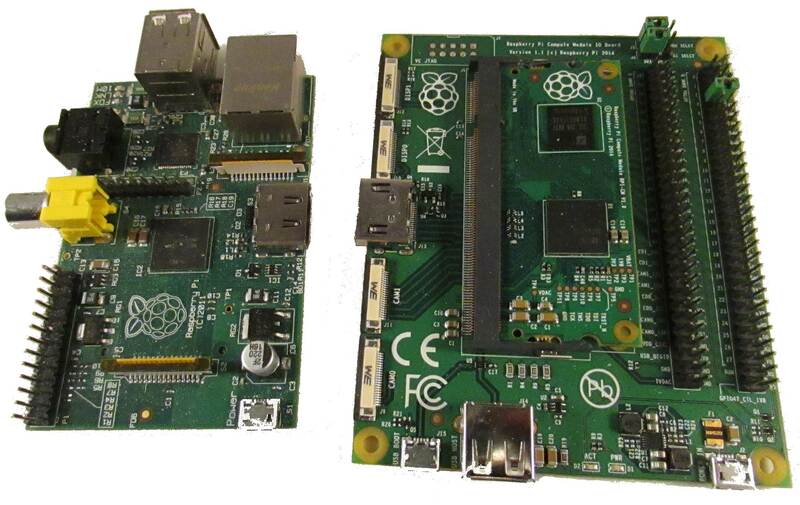 After doing all of this we should be ready to connect a MIDI keyboard or synth to our Pi. OK what does PIAC stand for? 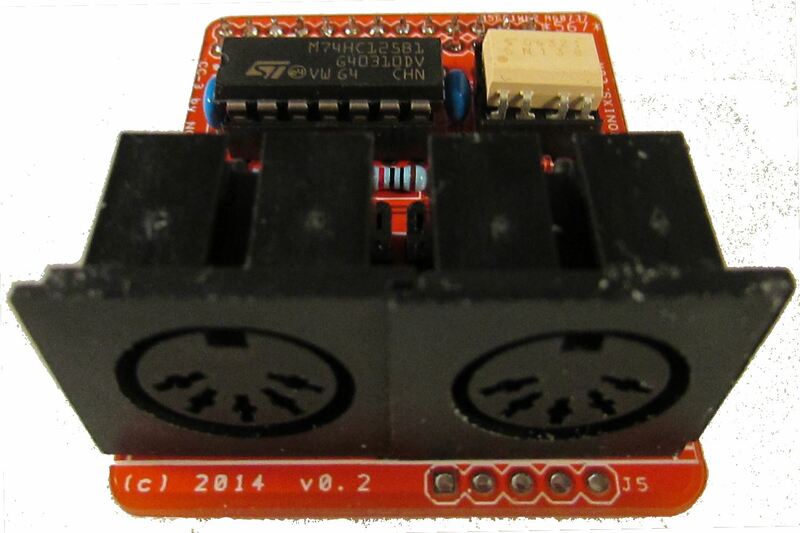 It’s a Pi expansion shield that has 4x Change Over (CO) relays, 4x Opto Isolated Digital inputs and 4x 0V to 10V Analogue Inputs. 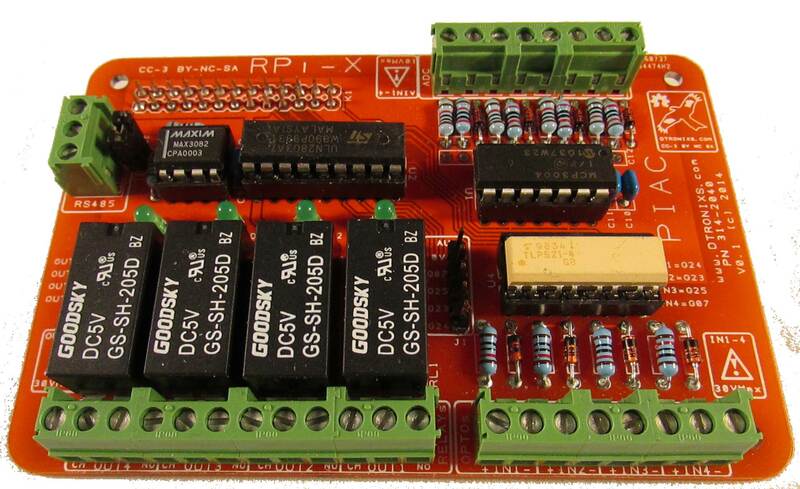 There’s also a RS485 interface to communicate with industrial networks. You can use it to learn about industrial control or perhaps even use it on your own small control projects. OK, a little later than I was hoping but I finally found some time to take some photos of the Raspberry Pi Compute Module. Saturday’s postman delivered my first RPi Compute Modules and IO board. I didn’t have much time to do any thing with it except marvel at compact it is. I hope to take some pictures in the next day or two and post them. I’ve some cool ideas for what I’m going to make with it so pop back soon. You are currently browsing the Zuzebox's Blog blog archives for June, 2014.